Anita Osborn outlines the best ways to start and maintain a patient support initiative in an increasingly complex health environment. As the healthcare environment continues to evolve, patient support initiatives are becoming increasingly important. Effective programmes that support the patient from diagnosis through treatment pathways and, ultimately, to outcomes can make a fundamental difference to their health and quality of life. Patients have access to more information than they’ve ever had before, which can be overwhelming as well as empowering. Having personalised guidance on how to navigate healthcare services, help with understanding why treatment is needed, how to adhere to a treatment regime and the best ways to manage their condition can make a very real difference to a patient’s journey. This is particularly true in chronic disease management, where patients also often need constant encouragement and support to adhere to a care plan. Designing and delivering cost-effective patient support programmes can be complex, particularly when working across multiple healthcare systems that may be funded by insurance, by taxation, self-funded or a combination of these approaches. Despite the differences across markets, the ultimate goal to improve patient outcomes remains the same. So too do the basic principles that underpin good patient support. Here are 10 steps to planning a successful patient support programme, based on 25 years’ experience of delivering them across a number of therapeutic areas and environments. 1. Seek to understand. The patient journey, and the key milestones of that journey, are different for every individual and every disease. These milestones need to be defined at the outset to ensure appropriate enrolment and shaping of the programme around a patient’s needs. If patients are invited to join a programme at diagnosis, for example, they will have different questions to those who have been living with a chronic condition for a number of years and who might need help to change their behaviour. The requirements of all stakeholders involved must also be factored in at an early stage, as patient support programmes impact not only patients and their personal network of family, friends and co-workers, but also their healthcare practitioners, commissioners of services, specialist nursing services and other care providers. 2. Individualise. It doesn’t matter if the role of the programme is simply to remind patients to take a medicine at a particular time of day, or a more complex endeavour involving behavioural change; everyone involved must be treated as an individual. No two patients, no two healthcare professionals and no two clinical sites are the same. They all have their preferred methods of communication and ways of responding to support. 3. Consider the channels. Consider the demographic and what will work for them, then make available the right number and combination of channels to create maximum impact. Each patient differs in their communication preferences and the level of support required to achieve the programme’s objectives. Channels to consider include remote helplines with specialist nurses available 24/7, text messages, emails linking patients to videos, educational websites, chat rooms and click-to-chat facilities, written literature and face-to-face interactions online, in the home and in hospital. It’s key to direct patients to the services that are available for them locally too. The most important thing, however, is to give patients a range of options so they can receive information in a way that is convenient for them. 4. Centralise the patient record. Data can come from a wide variety of sources but it is important to maintain one record per patient and to be consistent and compliant in its collection across regions and countries. This is so that the outcomes analysis can be of maximum value to the healthcare service, the clinicians and the sponsoring company. 5. Be compliant. Understand the regulations and the legal frameworks in each of the countries where the programme operates and support this with a fully-integrated clinical governance framework that takes into account the different disease protocols and standards of care within those countries. This is best achieved through a network of local experts in each geography, supported by an international management team who can ensure a consistent application of standards and measurements across the programme. 6. Integrate IT systems across countries. Historically, global patient support programmes have tended to be commissioned in each individual country. The trend is now for central commissioning so the quality can be consistent across markets and data can be analysed by region, by country and globally. This makes it critical that there is commonality in the data points identified and how they are collected. 7. Connect the right stakeholders with one another. 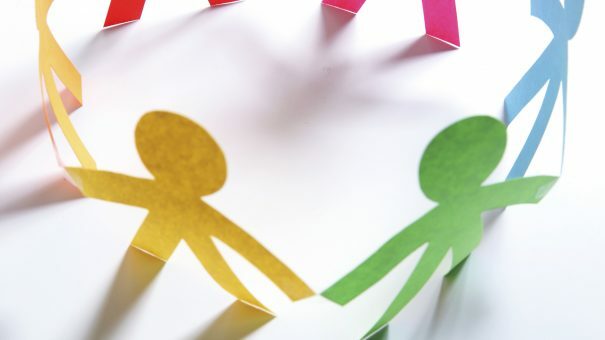 An effective programme not only connects the patient with the right healthcare providers, but enables all the stakeholders involved, such as support networks, families and various appropriate healthcare professionals, to connect with one another too. The requirements for this will depend on the complexity of the programme and what it is trying to achieve. For example, you may need to involve specialist nurses, health behaviour psychologists, physiotherapists, occupational therapists, patient support advisers and dieticians, among others. All of these need to be recruited and trained within the programme, which takes time, expertise and funding. Work with a team that has built up considerable data on call frequency and other parameters of usage for various types of programme, which can advise on the most effective and efficient ways to implement and manage services. 8. Get the stakeholders on board. All healthcare professionals and their network involved in the programme need to appreciate its value. Typically, enthusiasm is high at the start but can decline as time passes. To ensure maximum impact for the programme it is important that the key messages are constantly reinforced, which requires constant feedback, including data, dialogue and open discussion. 9. Devise a robust and elegant solution for patient enrolment. Ideally, the clinician is able to refer a patient into a programme by logging on to a secure portal while the patient is sitting next to them and can be told what is on offer. In reality, programmes work with what is most appropriate for the clinicians and the healthcare context they work in. 10. Don’t forget the internal stakeholders. The project manager appointed to lead the programme must understand the importance of everyone involved in its delivery, including those within the IT, marketing, quality control and legal departments. Understanding what the programme is trying to achieve and their role in its success is critical to smooth and timely delivery. It also helps to make the role very rewarding, as they see the difference their work is making to patients and their health. 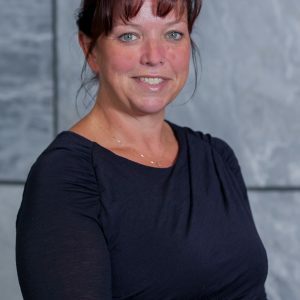 Anita Osborn is Clinical Services Director at Ashfield and, as such, is a strategic consultant to pharmaceutical companies in the creation of sponsored patient support programmes across the UK and Europe, as well as an active supervisor of these programmes. Having qualified as a registered nurse in 1989, Anita has more than 25 years’ experience of working in healthcare, and within pharmaceutical companies. Since joining Ashfield in 2002, she has been involved in the successful delivery of more than 100 patient support programmes. For further information on delivering effective patient support programmes, please contact her at anita.osborn@ashfieldhealthcare.com.